In the age of 3D printing, anyone can just print new components for stuff they already have – a new headband for your earphones, for example – but making an electronic gadget entirely from raw materials is a bit trickier. J.C. Karich, an industrial designer, decided to create a pair of headphones using zero manufactured parts – only raw materials and custom 3D printed parts. 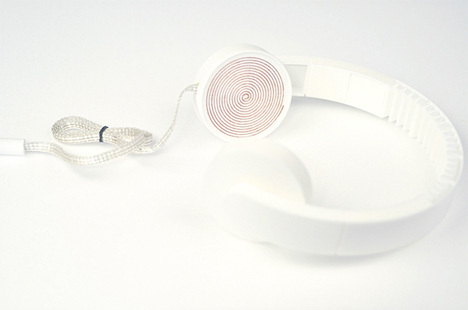 Karich used elements like solder, tape, wire and magnets to actually build the electronics of his headphones. He found that building the 3D printed pieces to contain the hand-crafted electronics was a challenge, but one that he met admirably. 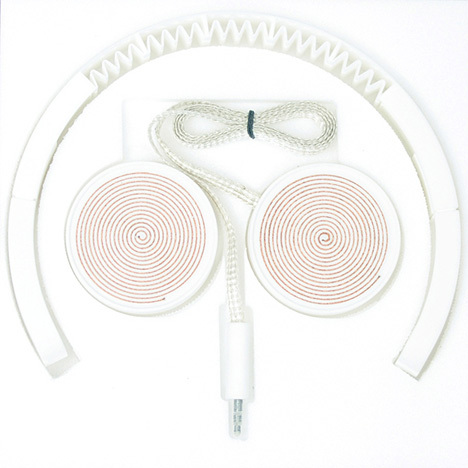 The finished headphones actually look like headphones, though admittedly strange ones. He calls his project Low Fi, High Tech. According to Karich, the sound quality is better than you might expect from homemade headphones – but obviously not as great as you would get from a commercially-produced pair.With a sound amplifier, though, the quality approaches what you might get from a traditionally produced set of headphones. If you’re a little brave and have access to some raw electronic components, you can make your own using Karich’s instructions at Thingiverse. See more in Do It Yourself or under Technology. April, 2013.